Sawtelle, a small district on the westernmost side of Los Angeles, has become one of the leading Japantown scenes on the west coast. A haven for foodies, Sawtelle can’t be beat when it comes to ramen and stir fry. The neighborhood is booming with great culture and great food, and is the perfect fit for anyone with a deep interest in Japanese culture. Come for the noodles, stay for the luxury apartments. At Equity Residential, we’re delighted to offer many diverse apartments. 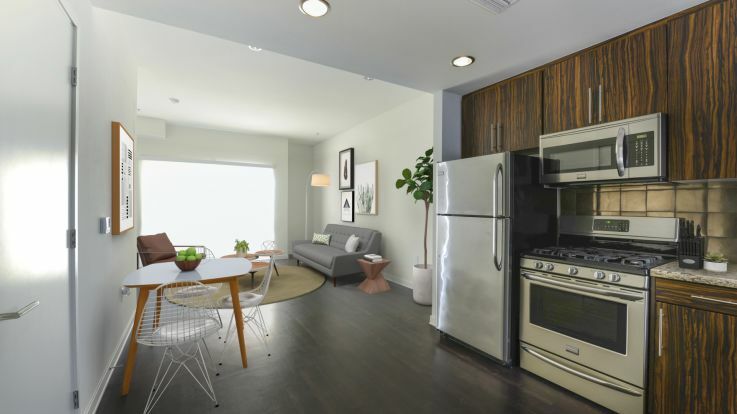 Our Sawtelle luxury apartments have some unique amenities you’ll be hard pressed anywhere else, such as balconies in every apartment, air conditioning, hard surface flooring, and dual master bedrooms. It’s our pleasure at Equity to get you sorted into the perfect apartment to meet each and every one of your needs. Drop us a line today and we can get that perfect apartment ready.